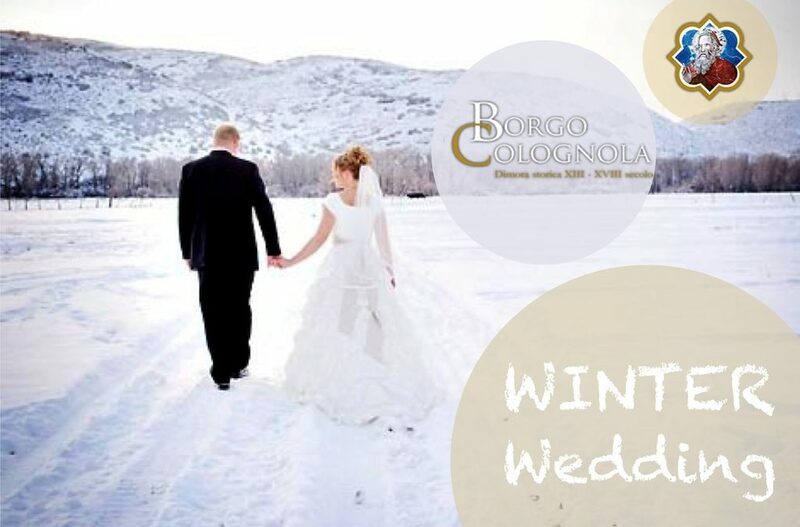 Getting married in the winter has become a new trend, thanks to the magical atmosphere of this season, the lower costs and the availability of larger number of suppliers, who can follow you with even more attention than the summer season, where most of the ceremonies are concentrated. Organizing a wedding has become increasingly difficult to find a church available for a date, a location that has not already been booked for your reception. If you choose the winter as a frame for your special day, you can definitely make your life easier, simplifying the process of organization of your wedding and have locations and wedding professionals at your disposal to customize every aspect and make your wedding day perfect. Try to imagine the halls of our Historic Residence enriched by open fires, braziers, torches, candles, ice sculptures, original floral arrangements that you might like use, as moss, hawthorn, mistletoe .. menus designed specifically with wild meat and the best red wines coming from our vineyards .. and all the warmth of the sets that we can create for you, starting from our Baroque Church for your religious ceremony or the outdoor areas such as the medieval courtyard with the well or the old square for the civil ceremony. Winter is also ideal to celebrate theme weddings, such as the medieval wedding. Contact us for your winter wedding and discover its benefits, we will make your dream reality and will make sure that your wedding will remain in your memory for a lifetime. Discover the other possibilities that we offer to make your unique celebration: Sunday Wedding, Weekday Wedding, and A Medieval Village exclusively for you!